This incredible piece of fan art is the work of Tianhua Xu, a concept artist from Chinese studio ChiYan Workshop. 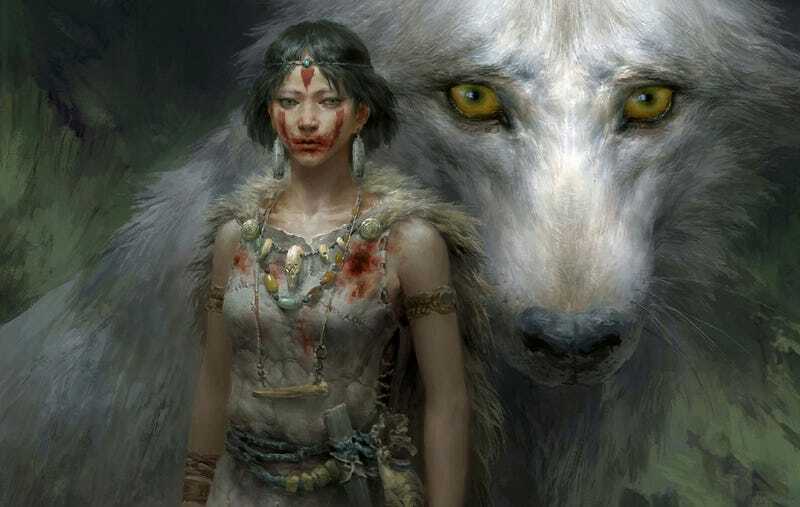 It's exactly what you'd want from a Mononoke redesign/movie, no? The same outfits and spirit, only more real. Course, we should probably stop talking about this, since we might invoke the demon spirit Hollywood. You can see more of Xu's art at his ArtStation page.